The Green Homes Challenge guides, rewards, and recognizes households for saving energy, adopting green lifestyle practices, and using renewable energy. To get started, sign up for a free account, find actions, add them to your Actions To Do List, and earn points when you mark them as complete. Challenge 1: be a Power Saver! Save energy and money. Earn 50 points to certify! Challenge 2: be a Green Leader! Create a sustainable, healthy home. Earn 50 points to certify! Challenge 3: be a Renewable Star! Use renewable energy. Earn 10 points to certify! The Office of Sustainability and Environmental Resources (OSER) advances practical solutions for protecting the environment, conserving energy, and living sustainably in Frederick County, Maryland. Sustainability staff manages the Green Homes Challenge and other special initiatives, such as Power Saver Retrofits and Solarize Frederick County, which provide funding for residential energy efficiency retrofits and solar installations. Watershed Management staff works to protect water quality through pollution prevention, public outreach and education, watershed assessment, and watershed restoration. The section also coordinates the Monocacy & Catoctin Watershed Alliance, a non-advocacy group that works on water quality and habitat issues. 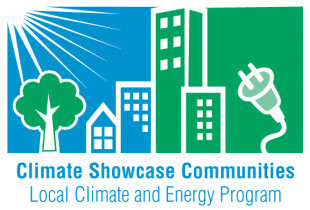 The Green Homes Challenge is funded by a Climate Showcase Communities Grant from the Environmental Protection Agency (EPA) under Assistance Agreement No. 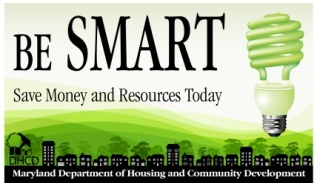 AF 83494501-0, a Be SMART Grant from the Maryland Department of Housing and Community Development (DHCD) under Award Number DE-EE000351/000, and an Energy Efficiency Conservation Block Grant (EECBG) award from the U.S. Department of Energy (DOE) under Award Number DE-SC0002637.